Street Photography – Edinburgh Fringe Festival (Part One) – Fuji X-E1 . . .
. . . Imagine for one moment a place and time devoted solely to art in all its various forms – music, theater, dance, mime, painting, photography and even protest. Now consider also that besides the countless thousands of acts performing throughout the event’s duration, there’s the added bonus of hundreds of thousands of spectators, many of whom also have a strong interest in the arts. There’s more. Factor in that the whole area is swarming with amateur and professional photographers, wielding hefty DSLR’s and even more lengthy lenses. Who then is going to give a second glance to another lens pointing in their approximate direction (except the Ugandan Handbag Saleswoman of course 😮 ) ? As a final nod to perfection, attendance of the 3 week ‘production’ is (by and large), totally free of charge. The altogether inspiring result of this heady ‘gumbo’ is a Street Photographers Paradise, otherwise known as the Edinburgh Fringe Festival – 2014. As far as I was concerned – and whilst the greatest majority of cameras were pointing towards the colorful, impressive and noisy acts that seemed to appear every few meters – my Fuji X-E1 with XF35 f/1.4 lens was firmly aimed in the opposite direction. I was here to photograph the ‘real’ people. Author Kevin ShelleyPosted on 19/08/2014 10/01/2017 Categories Articles, Fuji, Photography6 Comments on Street Photography – Edinburgh Fringe Festival (Part One) – Fuji X-E1 . . . Author Kevin ShelleyPosted on 20/07/2014 21/12/2016 Categories Articles, Photography9 Comments on Why Is Street Photography So Predominantly Black & White . . ? Chester – Street Photography Escape From the City . . .
. . . On the same weekend as the Manchester visit, I took the opportunity of spending a day with the Fuji X-E1 & XF35 f/1.4, perusing the classic streets of my ideal destination, Chester. The sun was out in force and the streets were awash with shoppers, tourists and local folk just soaking up the atmosphere and culture. 250 years ago, Chester was seen as an escape from the more industrial neighbouring cities such as Manchester and that still remains true, even to this day. Author Kevin ShelleyPosted on 10/07/2014 21/12/2016 Categories Fuji, Photography7 Comments on Chester – Street Photography Escape From the City . . .
Manchester (UK) – The Grit, Glamour & Tattoos . . . Author Kevin ShelleyPosted on 05/07/2014 21/12/2016 Categories Film, Fuji, Leica, Photography5 Comments on Manchester (UK) – The Grit, Glamour & Tattoos . . . The Case For Side Profiles In Street Photography (or Who Wrote the Rule Book?) 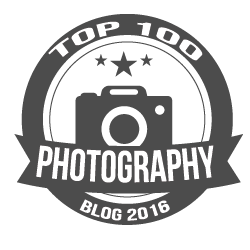 . . .
. . . There’s a craze currently doing the rounds of many photography websites and forums. You know, the one concerning the ‘holy book’ of Street Photography Rules? Usually served up in groups of 10, they often contain a wide ranging array of stifling and dumbfounding restrictions. Don’t show color and black & white in the same set. Don’t show different angles of the same subject. Don’t use a focal length longer than 50mm. Don’t post photos without consulting someone else. Above all else, only show shots with people in and more importantly, make sure they’re facing the camera. The list goes on . . . When were these rules written, by whom and what fate awaits those stupid enough to ignore them? Author Kevin ShelleyPosted on 25/06/2014 Categories Articles, Fuji, PhotographyLeave a comment on The Case For Side Profiles In Street Photography (or Who Wrote the Rule Book?) . . .
Leica M2 and 50mm Jupiter 8 Lens, Review and Street Photographs . . .
. . . Yes I have a soft spot for Leica cameras, especially film M’s. Just a cursory glance through past articles here on the Street Photography Blog will reveal a recurrent theme. Two M8’s, three CL’s (yes they are real Leica’s) and an M5. Now despite selling these and giving up film around 11 months ago for a Fuji X-E1, the siren call of 35mm simply refused to go away. So now a new ‘M’ joins the fray, the Leica M2. Author Kevin ShelleyPosted on 22/06/2014 10/01/2017 Categories Film, Leica, Photography, Reviews15 Comments on Leica M2 and 50mm Jupiter 8 Lens, Review and Street Photographs . . .
Fuji XF35 f/1.4 and XF60 f/2.4 – A Street Photography Review . . .
. . . In my previous post I wrote that I’d purchased the XF35 & XF60 Fuji lenses as replacements for the XF18-55mm Zoom. I couldn’t wait to put them through their paces and discover if this was indeed the right choice . . .
. . . Living as I do in the UK’s equivalent of the Australian Outback (Cumbria), Street Photography would appear to be an odd choice of hobby. My predicament was recently made all the more unbearable with these two new lenses that desperately needed trying out. Fortunately, a 30 mile trip to Barrow-In-Furness appeared unexpectedly, so I jumped at the chance to spend a couple of hours taking photo’s with the new ‘tools of the trade’. Author Kevin ShelleyPosted on 27/05/2014 10/01/2017 Categories Fuji, Photography, Reviews11 Comments on Fuji XF35 f/1.4 and XF60 f/2.4 – A Street Photography Review . . .
Barrow-In-Furness, A Town The Weatherman Never Mentions . . .
. . . Hear the words ‘Up North’ and for most of us, places such as Manchester, Newcastle and Hull spring to mind. With progress however, these areas have become more Southern-like in their appearance and attitudes. Living standards as a result of investment in modern industries, retail, inner city regeneration, arts and culture, have improved immeasurably. Additionally, as the cost of living in the South has increased beyond the pockets of many, thousands now move to the once ‘grim North’, bringing their cash and lifestyles with them. Barrow-In-Furness on the other hand, tucked away in an extreme north western corner of Cumbria and miles from any major motorway network, is all but ‘invisible’ to the rest of England. Author Kevin ShelleyPosted on 24/05/2014 Categories Fuji, Photography1 Comment on Barrow-In-Furness, A Town The Weatherman Never Mentions . . .
Chester Is Fast Becoming My Favorite Destination . . .
. . . For the hungry Street Photographer, Chester can cater to a wide variety of photographic tastes. The Fuji X-E1 with XF 18-55 proved its worth again as I enjoyed a relaxing stroll. The City is a popular stage for Buskers and Performance artists, including (as it turns out) world famous Electric Violinist, Ed Alleyne-Johnson. Having one of his albums on my iPod, I was amazed to hear a familiar music echoing through the streets. Imagine my astonishment as when rounding a corner, there stood Ed repleat with his famous home-made purple violin, a plethora of effects pedals, a phrase looper and drum pad. A small crowd had congregated, watching in awe as he ‘built’ a tune from the basic riff to a crashing symphony, then launching into a rendition of Black Sabbath’s ‘Paranoid’. Author Kevin ShelleyPosted on 11/05/2014 21/12/2016 Categories Fuji, Photography4 Comments on Chester Is Fast Becoming My Favorite Destination . . . I Was Recently Looking Through Some of My Older Photographs . . .
. . . When I came across a few forgotten favorites that I’d never posted on the blog before. It’s funny how you (well me at least) can see a photo and remember instantly where it was taken, with what camera and what was happening at the time. This is a particular favorite of mine which I call ‘Alice Belts’. Taken with the Leica M8 in Glasgow (my first time there) and meandering around, I actually walked straight past this scene. It was then that I had one of those ‘shall I go back’ moments and fortunately I did. This picture now hangs in the Breakfast Room of my Self-Catering Holiday Home. Author Kevin ShelleyPosted on 04/05/2014 21/12/2016 Categories PhotographyLeave a comment on I Was Recently Looking Through Some of My Older Photographs . . .
Edinburgh – New City, Old Style . . .
. . . Edinburgh was a new city to me. I’d never been before, but I’m glad I did. It’s a large, imposing place, the main central and surrounding areas being spread far and wide, with no apparent order to their layouts . . .
. . . However, Edinburgh had a very warm and welcoming feel to it . . . Author Kevin ShelleyPosted on 10/11/2013 Categories Fuji, Photography3 Comments on Edinburgh – New City, Old Style . . .
You Don’t Need To Be On a Street . . .
. . . to find good Street Photography. Author Kevin ShelleyPosted on 25/08/2013 Categories Fuji, Photography2 Comments on You Don’t Need To Be On a Street . . .
Fuji X-E1, Initial Impressions as a Manual Street Photography Camera . . .
Now as you’ve no doubt guessed from the title (and the photograph), the camera I have purchased to take over the role of my ONLY street camera is the Fuji X-E1 with the Fujinon 18-55mm f/2.8 – f/4 XF Mount Lens. I hesitate to use the phrase ‘kit lens’, as traditionally such lenses included with a new camera are of questionable quality. This lens is most definitely not one of those as will become apparent (I’m talking Leica image quality here). Author Kevin ShelleyPosted on 18/07/2013 10/01/2017 Categories Fuji, Photography, Reviews11 Comments on Fuji X-E1, Initial Impressions as a Manual Street Photography Camera . . .
Photo’s from a Recent 5 Day Trip in the UK . . .
. . . Chester, Monmouth, Birmingham, Manchester. All taken with the Leica M5, Canon Serenar 85mm f/2, Ilford HP5+, Rodinal. Author Kevin ShelleyPosted on 26/06/2013 21/12/2016 Categories Film, Leica, Photography4 Comments on Photo’s from a Recent 5 Day Trip in the UK . . .